My Quilty Box finally arrived! I think this is one of the boxes I was most looking forward to seeing this month. It's brand new and I had no idea what to expect (how big the box would be, what it would look like). 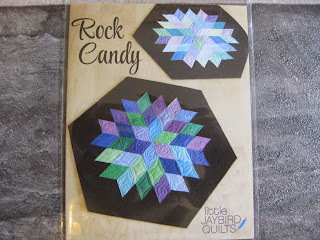 I knew it would be arriving either yesterday or today and I was disappointed when I didn't see anything from Quilty Box sitting on my doorstep. But I did receive it today and the box fit in my mailbox. I was hoping it would be a larger box because of the price of this subscription, but I know good things come in small packages. 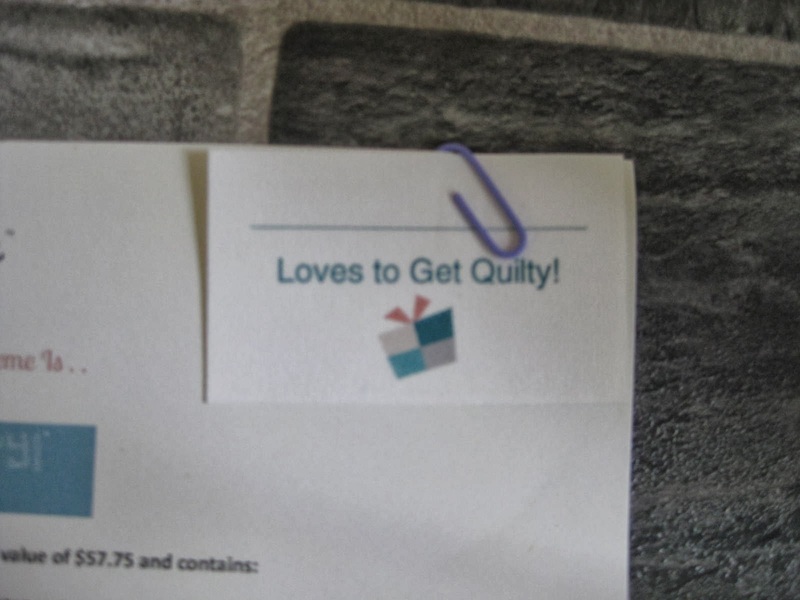 And it was noticeably from Quilty Box in a white box, with their logo on top. 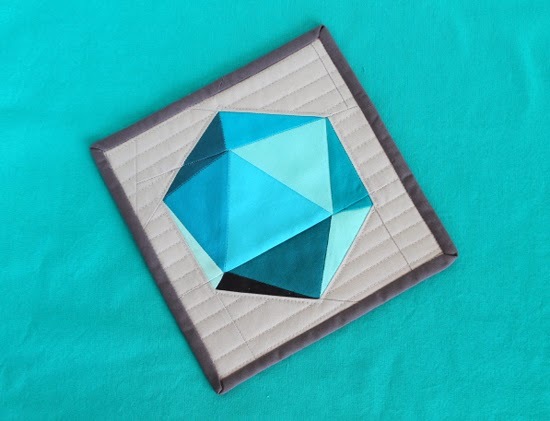 I really wanted to check this box out as a possible gift for my mother, because she loves quilting and could use some projects for the winter months ahead. I'd never seen any subscription like this before, so I was very happy when I came across this box. October's theme was Geometry (which could really be anything in terms of quilting, so I had no idea what to expect). This is the first look at the box. There was a very nice sheet included in the box describing everything you receive for the month and also the retail price of each item and totaled for the box! It says this box has a retail value of $57.75, which is great! The first thing I noticed when I opened the box was the fabric. Minimalista by Art Gallery Fabrics Fat Eight Bundle. 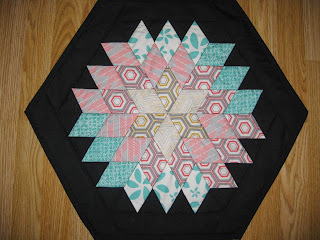 The fabric was perfect for me and definitely matched my style, but not really my mother's style (she likes primitive fabrics and is more traditional than modern) The fabrics actually made me want to try to make the projects myself! 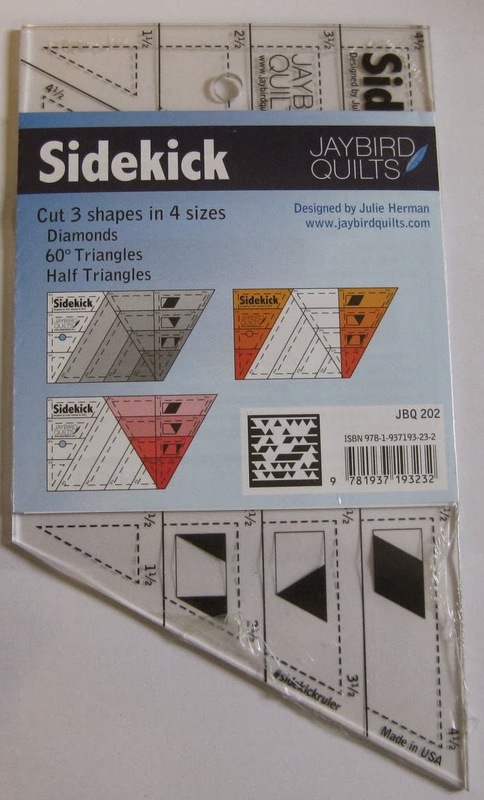 The next item included was a Sidekick Ruler by Jaybird Quilts. It cuts diamonds, half triangles, and triangles without any complicated measurements or math. It looks like a helpful tool, especially for the projects included, but I'm glad it includes instructions because I'd have no clue how to use it. Rock Candy Table Topper Pattern by Jaybird Quilts was included. This pattern definitely looks like something my mother would make, so I think she'll be happy to test it out. 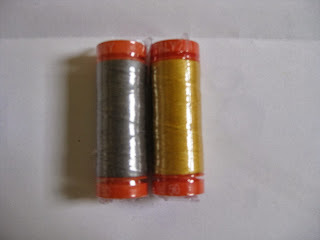 I also received Aurifil 50wt. Cotton Mako Thread in a yellow and gray color that coordinate with the fabric. I'm very happy about this, because it gives you what you need to make a completed project. 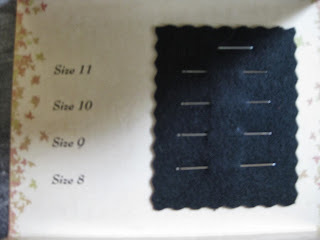 And these look like quality thread (though I'm definitely no expert in quilting). 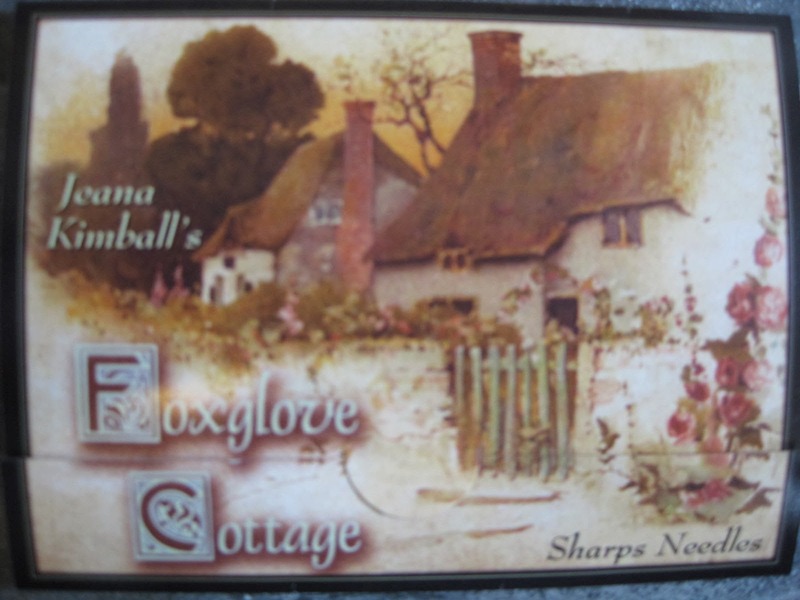 The "Basic" item for the month was Jeanna Kimball's Foxglove Cottage Sharps Needle Sampler. There are 4 different sizes included. And you can always use needles, right? The next item was probably one of my favorite things included in the box. It's a Custom Fabric Label by Jennifer's Jewels. It's always great receiving handmade items and even better when it includes a tag with the crafter. These are so cute and personalized for the Quilty Box. And there is a code to order more at a discounted price! 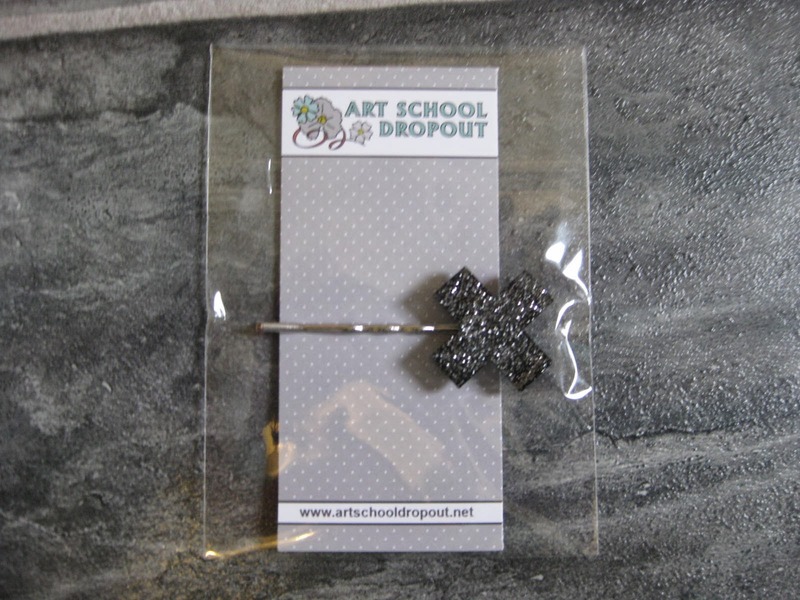 I received an X Pin by Art School Dropout, which was a nice extra to the box. They call it their "Outside the Box" inspiration item for the month. They will be posting 10 creative ways to use these in your studio. It's cute! 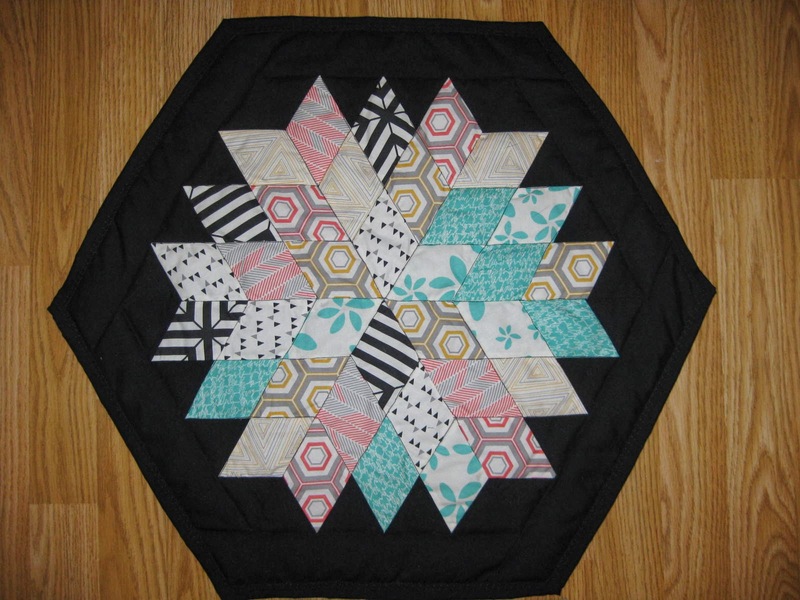 The last item that wasn't really included in the box (but was sent in an email) was Geometric Paper Piecing Pattern by Art School Dropout. 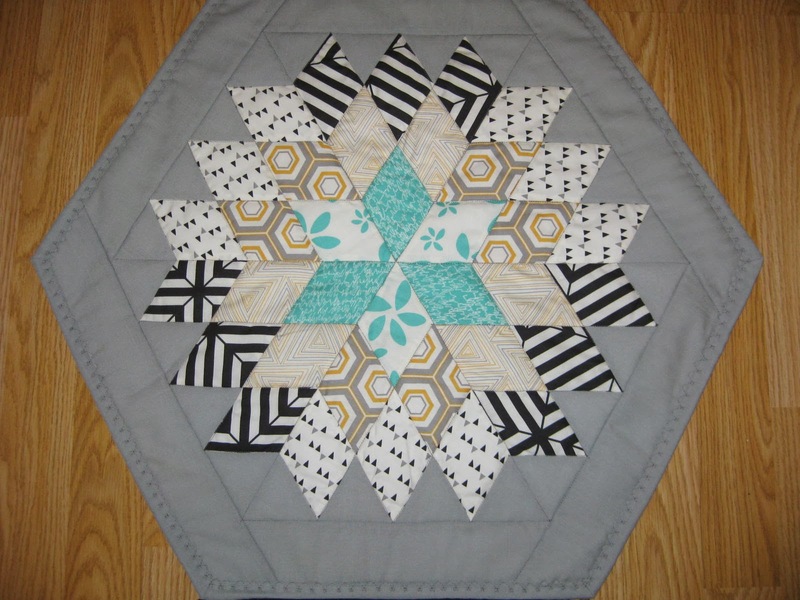 You can use it as the first block of a quilt, a potholder, or be creative and come up with your own idea. 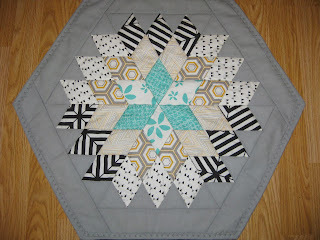 This designer will also be posting patterns for 11 more blocks, so it could be the beginning of a quilt. I'm very happy with this box. I love the fabric! 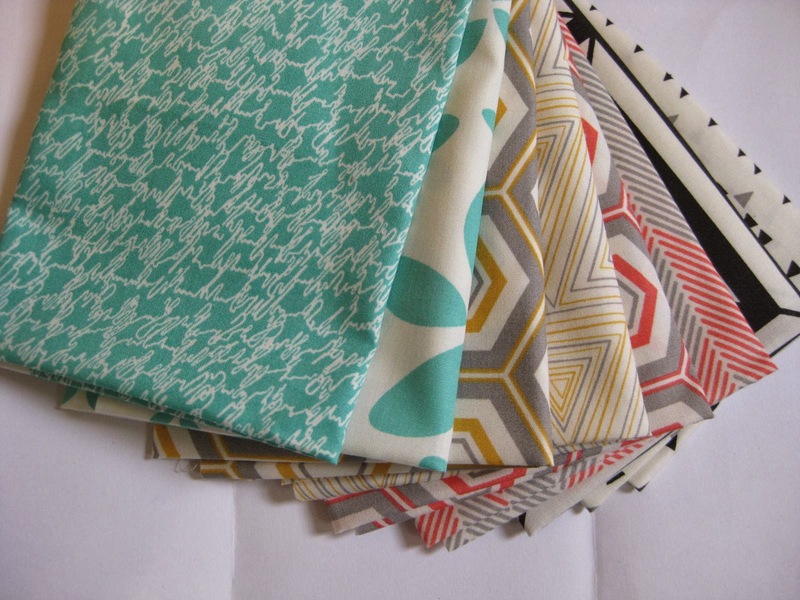 I'm not sure if everyone received the same fabric this month, but if not I'm really happy I received what I did (even if it isn't my mother's style). 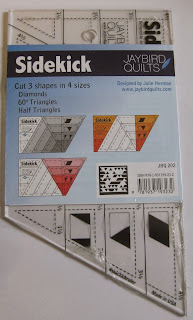 Since I'm no quilter my mom is going to take over from here and make the projects using the contents of the box (and hopefully give me the final products) I'll update you on her thoughts. 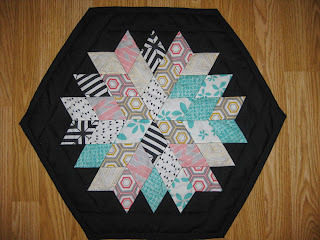 My mom was able to create 3 of the table toppers using the pattern included with the fabric from the box. I think they turned out great! 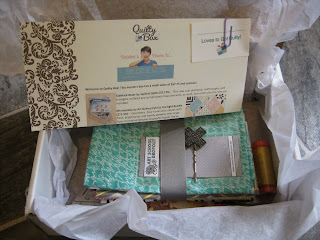 And she loved this subscription box!!! 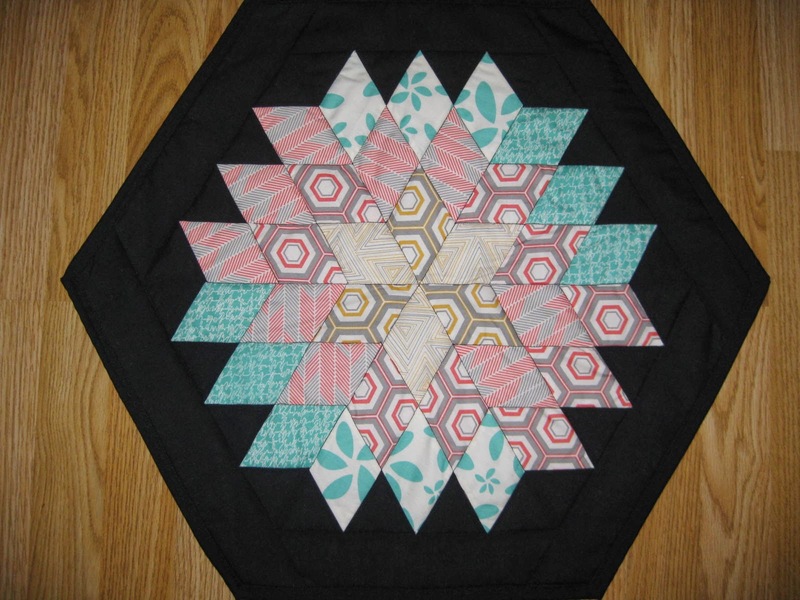 What do you think about Quilty Box? Will you be subscribing?